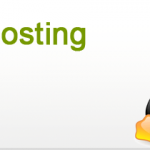 Best unix hosting plans to establish your online presence. 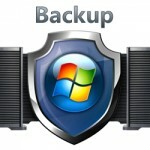 Highly secure data center support with 30-day money back guarantee. Web hosting experts believe that UNIX offers a very versatile and stable hosting platform to the organizations on the basis of their needs and preferences. Unix Web hosting is best for those developers who prefer to develop programs in languages like Perl, PHP or Python. These hosting accounts offer administrators an ability to upload CGI scripts to improve overall effectiveness of the website. If web hosting experts are to be believed, UNIX depicts incredible handling capacity of high server loads and requires seldom reboots. A number of advantages are therefore quoted by web hosting professionals to endorse the reach of UNIX hosting services. Affordability at its best: Being a free platform, it doesn’t require hefty infrastructure fee to purchase operating system. For the webmasters who look forward to save some bucks, UNIX hosting is the best tool to acquire. Scalability: UNIX offers more choices to develop your site in many different directions. If all you need to have some right edge of scalability options, selecting UNIX hosting package may be the best option for the organizations. Performance factors: UNIX servers are very prompt and quick in response and require less system resources like bandwidth and RAM usage for your website. Websites that are hosted on the UNIX platform run quickly and serve content at very quick intervals. Compatibility: This is another primary feature of UNIX based web hosting services. Websites that are designed and developed for this platform can easily be migrated to Windows without any hassle and with full convenience. Beyond above quoted features, several other benefits turn UNIX web hosting India as the top choice of the web hosting professionals. It offers a great level of administrative control and seamless convenience for setup and functioning.